Bankruptcy specialists want debtors to be aware that the Internal Revenue Service (IRS) is taxing people on debt forgiveness in cases involving foreclosure, short sales, deed in lieu of foreclosures and settlement of credit card or unsecured debt. As a general proposition, if you owe someone money and that person or company cancels or forgives the debt you may have to pay tax on this income. IRS Publication 4681, entitled "Canceled Debts, Foreclosures, Repossessions and Abandonments," explains in detail the situations on when debt forgiveness is taxable and the bankruptcy and insolvency exceptions. For example, let us first take the illustration of a credit card balance that is settled. Assume the credit card balance is $10,000 and you convince the credit card company to take $2,000 in full payment of the outstanding balance. For income tax purposes, the amount of the forgiven debt or $8,000 is deemed income to you. The banks and credit card companies will issue a 1099 at the end of the year for that portion of the debt forgiven and then the IRS will send a tax bill if not paid or accounted for properly on your tax return. Next, let us take the example of a short sale. Your house is only worth $100,000 and you owe $200,000 to the bank on the mortgage. You or your attorney find a buyer for the house at $100,000 and convince the bank to take $100,000 (the amount of the purchase price) in full settlement of the $200,000 mortgage. This $100,000 forgiven may be considered taxable income. Bankruptcy specialists agree that one of the least understood circumstances involving taxable debt forgiveness is the foreclosure. If you have real estate that is security for a debt that is taken by way of foreclosure in full or partial satisfaction of that debt, you will be treated as having sold that property and may have a gain or loss as a result. The IRS looks at it the same whether the lender took the property through foreclosure, repossession, a voluntary conveyance by way of deed in lieu of foreclosure, or your abandonment of the property. If the bank cancels the debt in excess of the fair market value of the property taken back by the lender, the excess of the cancelled debt over the fair market value may have to be treated by you as ordinary income if you do not fall under one of the recognized exclusions. IRS Publication 4681 entitled Canceled Debts, Foreclosures, Repossessions and Abandonments set forth the rules on debt forgiveness and the exceptions to the rule. Two major exceptions to the debt forgiveness being treated as income are the bankruptcy exception and insolvency exception. There are many other exceptions that you can explore by reading IRS Publication 4681, but our focus is the bankruptcy and insolvency exception for our discussion here. Under the bankruptcy exception, debt cancelled in a Chapter 7, Chapter 13 or Chapter 11 case is not included in your income. 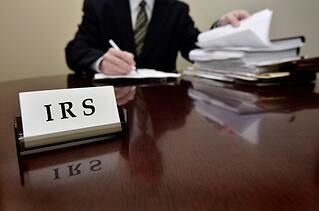 Thus, when you file bankruptcy and the debt is discharged or wiped out, it is not treated as income in the IRS's eyes. You just have to report the bankruptcy filing on your return on the year you filed the bankruptcy and the debt cancelled cannot be considered income. Furthermore, under the insolvency exception, if you can show that you were insolvent immediately before the time the debt was forgiven, then the debt forgiveness or cancellation is not treated as income. The IRS defines insolvency as where the total of all of your liabilities exceed the Fair Market Value of all of your assets immediately before the cancellation of the debt. For purposes of determining insolvency, assets are comprised of everything you own (including any assets that serve as collateral for debt such as mortgages and assets that may be exempt under the bankruptcy or state law such as pension plans or 401K plans). As a result of this little understood treatment of forgiven debt, many times it makes more sense to file a bankruptcy in order to avoid being taxed on forgiven debt. This is especially so if your credit is already damaged and the filing of the bankruptcy would not present much further negative impact. That being said, you must always consult with a bankruptcy attorney to determine the best strategy. Contact one of our New Jersey bankruptcy specialists to discuss how to best proceed. Our law firm offers bankruptcy solutions and legal strategies to clients throughout cities and towns of New Jersey, including but not limited to Wayne, Hoboken, Newark, Jersey City, Paterson, Orange, West Orange, South Orange, Irvington, Belleville, Maplewood, Clifton, Wayne, Passaic, Fort Lee, West New York, Morristown, Guttenberg, Union City, Weehawken, North Bergen, Paterson, Hackensack, Englewood, Livingston, Bloomfield, Little Falls, Hillside, Union, Kearny, Harrison, Fairfield, Caldwell, Garfield, Lodi, Totowa, Bayonne, North Bergen, Weehawken, Union City and Secaucus, and Passaic County, Hudson County, Essex County, Bergen County, Union County, Sussex County, New York, Manhattan, New York County, Bronx County, Brooklyn, Long Island, Queens and Staten Island.